In Lebanon, politicians are unfortunately famous for their lack of accountability and efficiency, despite being elected in a democratic way. Prototypes were developed during a hackathon to help journalists hold their political leaders to account and allow for more citizen participation. 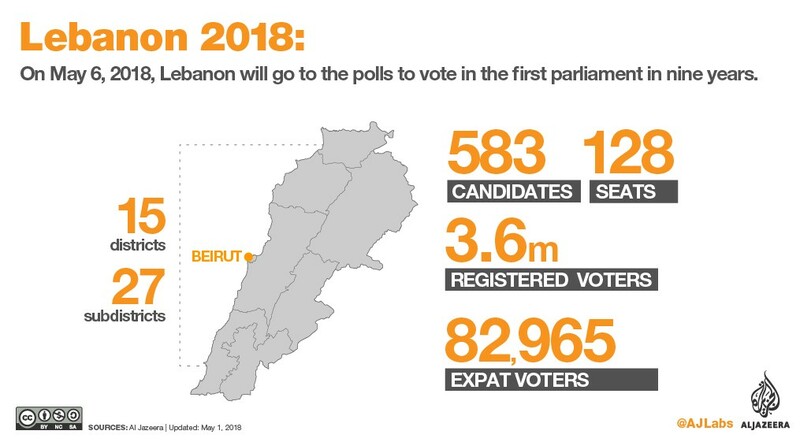 Lebanese legislative elections will be held on 6 May 2018 for the first time since 2009. There is reason to wonder if the elected MPs will keep their promises, and if the citizens will be able to remind their representatives of these promises. Politicians in Lebanon are primarily criticised for corruption, which is endemic among the elites. Political families keep seats for other family members, ‘wasta’ or favours are given to some people instead of fair chances for all, and there is a total lack of interest for the major concerns of citizens: access to electricity, water, jobs, and health. An organisation called Lebanese Transparency Association was created in 1999 to expose corruption and lobby for transparency and accountability, but they’re a drop in the ocean. In 2015, citizens, exasperated by the ‘garbage crisis’ that saw mountains of waste flourishing everywhere in the country, occupied the center city of Beirut to demand solutions and accountability from their government. Their protest was in vain, as no sustainable solution has been adopted since. On May 6, the same people responsible for the garbage crisis will be elected again. In the face of this situation, Lebanese journalists don’t have many resources to properly inform citizens: data is almost inexistant and most media belong to the same politicians who cannot be held to account for their actions. 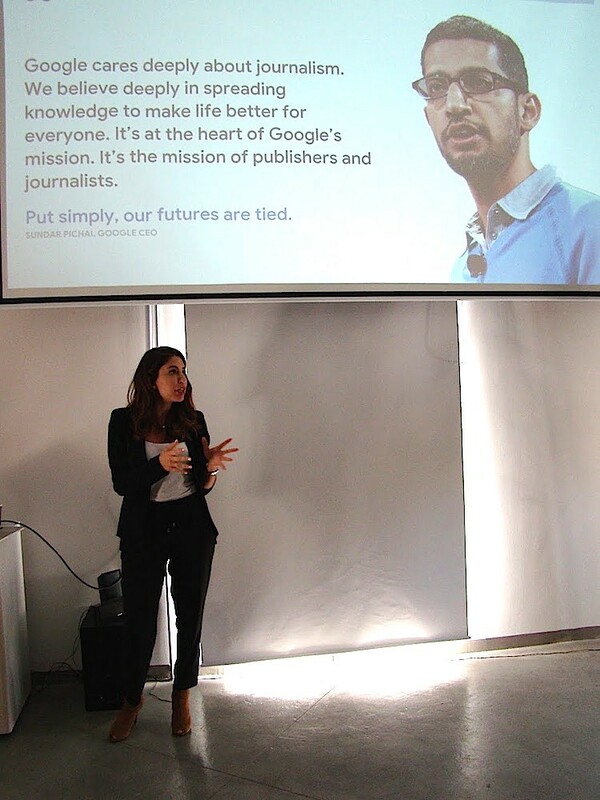 On 27–28 April 2018, one month before the GEN Summit in Lisbon, the Global Editors Network (GEN), in partnership with the International Center for Journalists (ICFJ) and IJNet Arabic, and with the support of the Google News Initiative, gathered media innovators for a two-day hackathon in Flat6Labs Beirut, to develop innovative digital prototypes, on the theme of governance accountability. 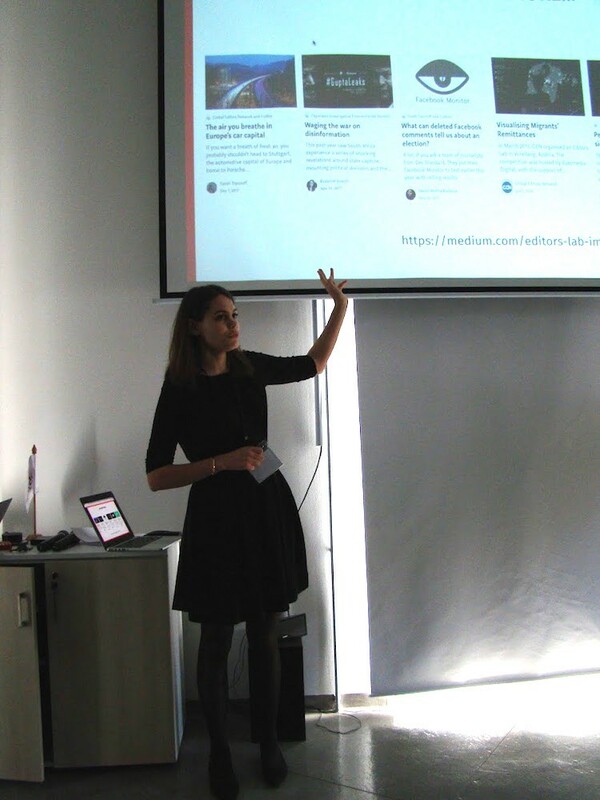 Evangeline de Bourgoing (GEN) started by giving advice on how to build meaningful prototypes. Then, Joyce Baz, head of PR and Communications for Google in the Middle East and North Africa, held a workshop to introduce the Google tools that the participants could use to build their prototypes. She introduced the participants to data resources such Google Public Data and Google Scholar. She also explained how participants could verify information using Google Image Search, Youtube, Frames by Frames, etc. and visualise it using Flourish, Google Maps and Google Earth, and Satellite Imagery. 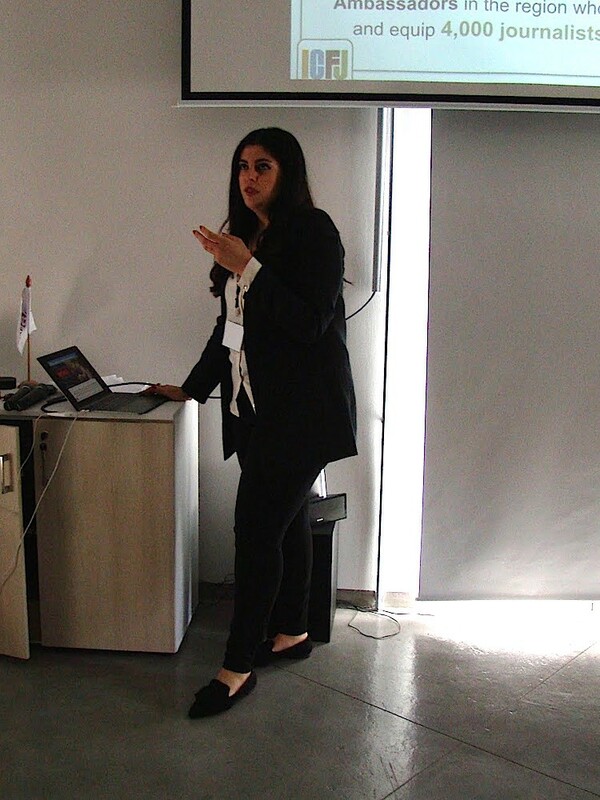 Finally, Madonna Khafaja, lead program manager in the MENA region at ICFJ, introduced the work of her organisation and explained how it can help participants. Eight teams worked and competed for two days. Each team included a journalist, a web developer and a designer, representing local media such as Alaraby Al Jadeed, Annahar, Al Jadeed TV, Eurosport Arabia, Alaraby Al Jadeed and Alaraby TV (these two teams merged after day 1) but also the Lebanese American University and startups like Wamda and Figurit. Before brainstorming and working on prototypes, the participants gathered to listen to key speakers. 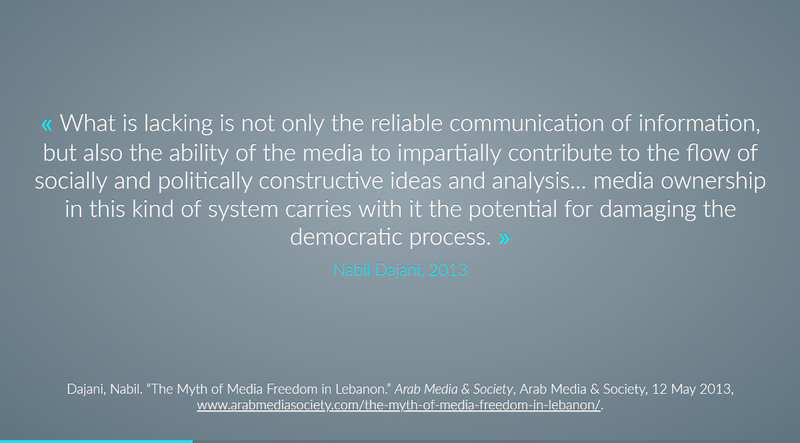 In Lebanon, data is hardly accessible to both journalists and citizens wishing to inform themselves. The only data that is available is for small studies on water and pollution by universities. Almost eight years after a draft bill was submitted to Parliament, Lebanon finally passed a ‘Right to Access to Information’ law on 19 January 2017, but it’s barely used because of the lack of transparency from politicians. By creating tools to gather data already available and making it easily accessible, journalists could cover elections more thoroughly, leading to more informed citizens. Smart Monitor — built by Wamda: A platform that aims to become ‘a data-backed watchdog over Lebanese media’s coverage of the elections’. The platform will enable academics and journalists to analyse Lebanese media during elections and identify patterns and biases in their coverage. 2. Di-Quiz — built by Annahar: A tool to analyse how municipalities are spending public money. Municipalities use this tool to provide citizens with a detailed budget breakdown of the projects they are implementing. The tool compares these different budget lines with the local market prices to analyse if municipalities are wasting or diverting public money. 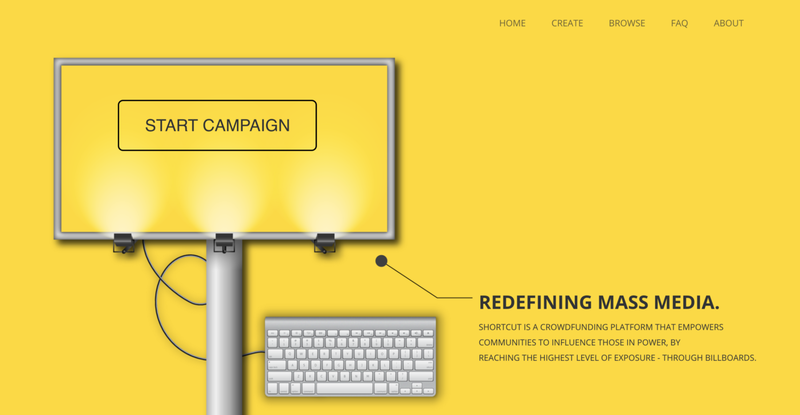 Shortcut — built by Figurit: A crowdfunding platform that empowers communities to influence those in power, by reaching high levels of exposure through electronic billboards. Communities, whose problems are often not covered by the media and ignored by politicians, can raise money in order to gain exposure on the highway, in turn giving journalists stories to cover. 2. 3al makchouf — built by Eurosport Arabia: The team focused on sports governance instead of political governance by developing a sports application that helps football fans engage and judge the referee’s judgment on critical decisions. The fans can vote for what they think the decision should have been, comment, or send a voice comment. Lebanese citizens lack the tools to know if their representatives fullfill their campaign promises. If people were more aware of the politicians’ achievements, they would be able to make more informed decisions during elections. Change Meter — built by the Lebanese American University: A platform that tracks salient Lebanese issues, and sets up a success rate for politicians according to the promises they have made on these issues. It identifies facts, such as dates, reports, and declarations, as well as information about who promised what, and the developments of the issue. 2. Lahekna2eb — built by the Alarabiy Al Jadeed website and Alarabiy TV: A mobile application that helps the community to follow the projects on which parliamentary representatives made promises. For the duration of four years, the seven main political leaders of the Parliament will be followed every month, and people can comment on their actions. This prototype received an honorary mention from the jury. 3. Politithon — built by Al Jadded as an independent team: An application to highlight the positive achievements of ministers, in order to encourage them to do better, rather than judging them by their failures, which is usually the case. 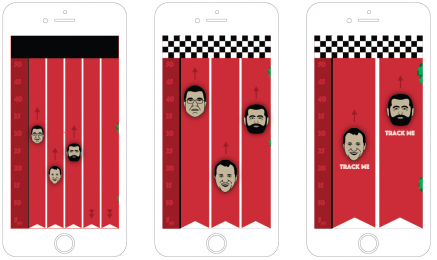 Five political representatives are picked to compete in a race through the app, in which the progression of their achievements in areas that matter most to the Lebanese population are presented. The representative that sticks to their promises and progresses the most, wins. The jury voted for Politithon as best prototype.